This course gives the experiences necessary to be prepared to work in the trucking industry. The program consists of up to 40 hours of one-to-one drive time, 26 hours of range/yard time and approximately 99 hours of classroom time. 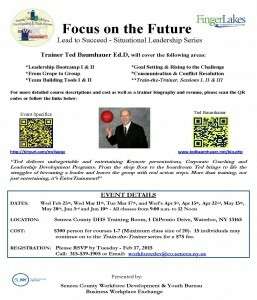 This program includes shadowing experience and resume development. 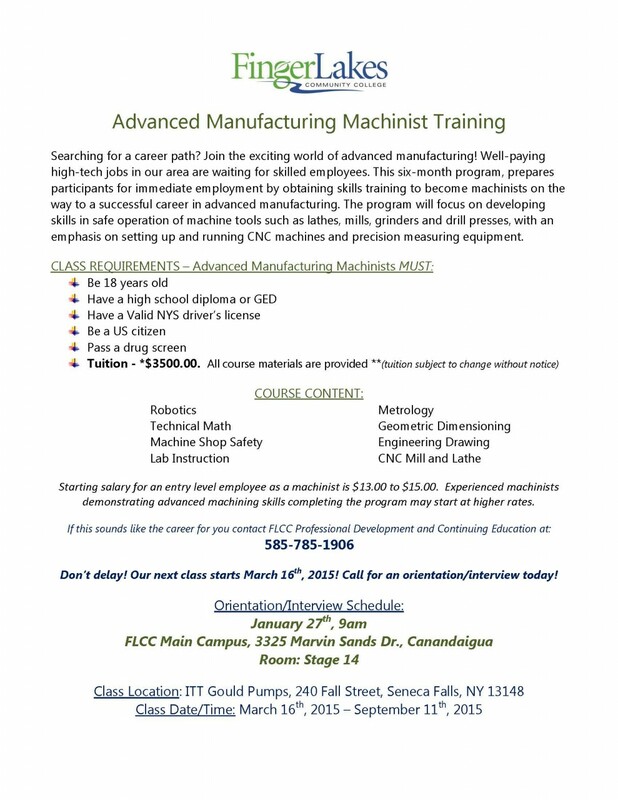 Upon completion of this programs students will have certification in defensive driving, forklift operation and air brake adjustment. 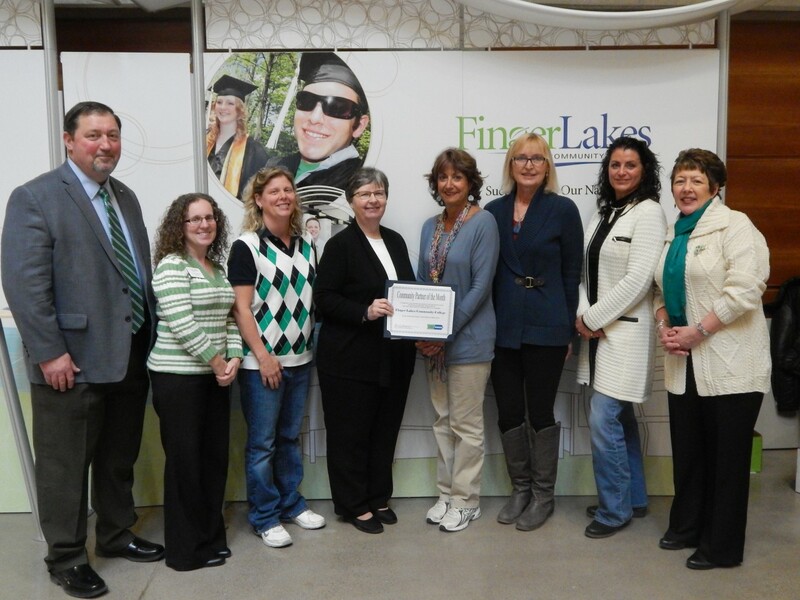 GENEVA, NEW YORK – The Finger Lakes Workforce Investment Board Inc. (FLWIB) announced today that Finger Lakes Community College (FLCC) is March’s “Community Partner of the Month,” recognizing the school’s efforts in working collaboratively with Finger Lakes WIB to address workforce issues impacting the region. Finger Lakes Community College was established in 1965 and opened for non-credit classes in 1967 and credit classes in 1968. Set on a 250-acre, park-like campus, the College is part of the State University of New York (SUNY) system. It is a public, open access institution dedicated to providing a quality education in a student-centered environment. 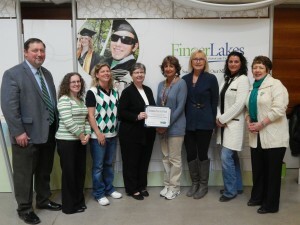 FLCC employees, from left: Joseph Nairn, chief advancement officer; Tammie Woody, career services coordinator; Marcia Lynch, custom training specialist; President Barbara Risser; Corinne Canough, director of educational planning and career services; Catherine Petruccione, secretary for educational planning and career services, and Lynn Freid, director of workforce development, with Karen Springmeier, executive director of the Finger Lakes Workforce Investment Board. FLCC has been an active partner with the FLWIB throughout the years collaborating on various initiatives while working together through Board and Consortium related activities. 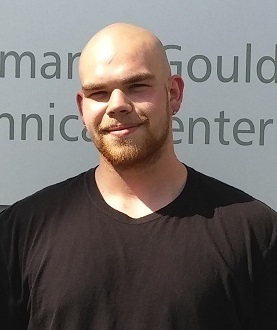 FLCC has developed a successful six-month advanced manufacturing machinist training program and recently added a 12-week mechatronics program. Its instrumentation and control technologies degree, viticulture and wine technology degree and other programs were developed with extensive employer input. 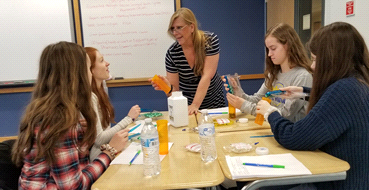 This month will mark the fourth year FLCC has hosted the “Serving Community Healthcare in the Finger Lakes” healthcare career day for local high school students. 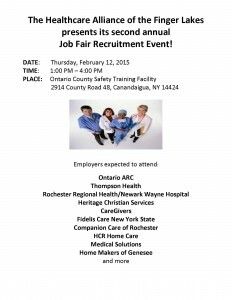 In April the college will again play host to the 3rd annual “Why I Love The Finger Lakes” Career Expo. 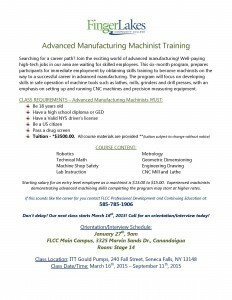 Additionally, the school serves as a vital resource for Finger Lakes Works job seekers looking to upgrade their skills in an effort to compete in today’s workplace. The Yates County History Center!! GENEVA, NEW YORK – The Finger Lakes Workforce Investment Board (FLWIB) announced today that February “Business of the Month” is Yates County History Center recognizing the Agency’s efforts to build strong community partnerships along with their continuing contributions to the local economy. The Yates History Center is one of the premier museums in the Finger Lakes. It is three museums in one – the Oliver House Museum, the L. Caroline Underwood Museum, and the Scherer Carriage House all adjacent to one another on Main Street and Chapel Street near downtown Penn Yan. There are extensive resources for genealogical and local history researchers and several displays and exhibits. 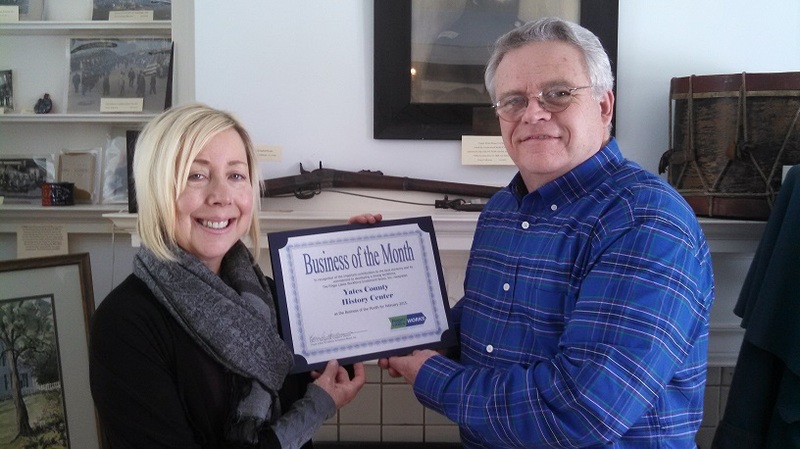 Loree Martin, Youth Specialist and Career Counselor from Finger Lakes Works – Yates County, presents the award to John Potter, Executive Director for the Yates County History Center. 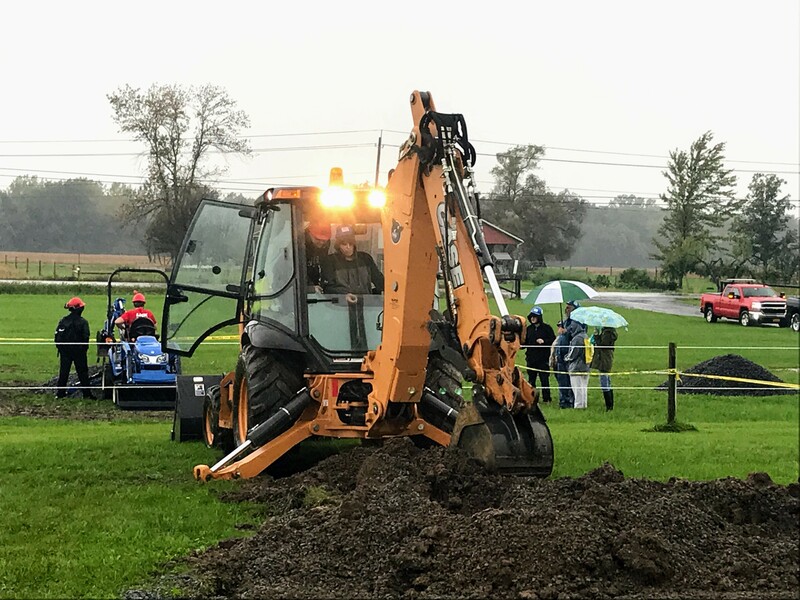 The Yates History Center has a long history of partnering with Finger Lakes Works Yates County by volunteering to be a learning rich work placement site for the youth program on an ongoing basis. 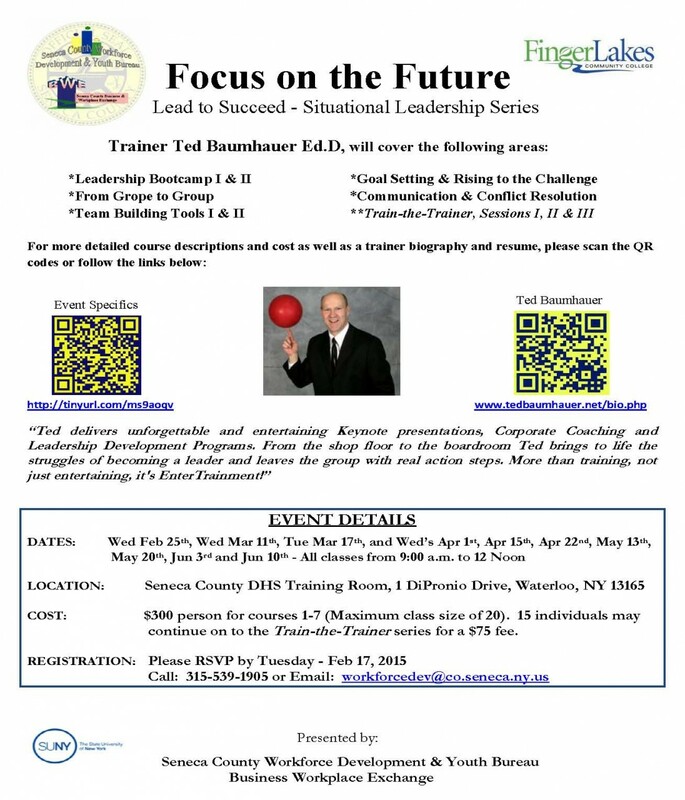 Over the years approximately 50 youth have been placed there as a part of Finger Lakes Works Youth program including the program’s current, Youth Specialist & Career Counselor Loree Martin. In addition to providing effective mentoring around workforce preparation skills, they also encourage positive social and civic behaviors in the youth who join their team. As a history/museum assistant, the youth are provided opportunities to learn many aspects of the organization; the physical operations including exhibit maintenance and artifact management. “The Yates History Center’s commitment to mentoring youth in the workplace exemplifies the kind of dedicated partnership that communities need to help prepare and grow tomorrow’s workforce successfully.” said Karen Springmeier, Executive Director of the Finger Lakes WIB. 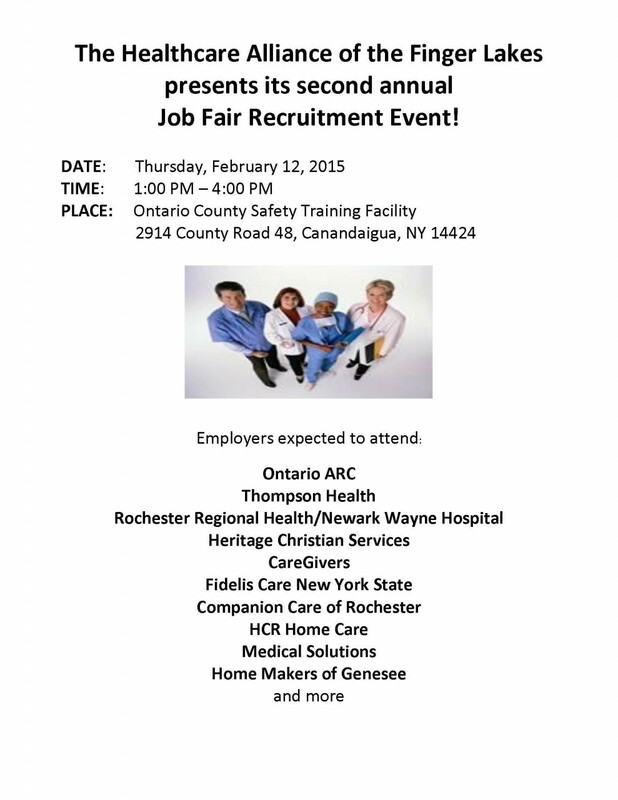 Job Seekers: Finger Lakes Hired can help you train for and connect to local, in-demand jobs in the healthcare, advanced manufacturing, and IT industries! Click here to see more information on how to benefit from this grant! Businesses: Take advantage of a new opportunity to recruit, train, and try out new candidates at little or no cost to you! Click here to see more information on this grant opportunity!